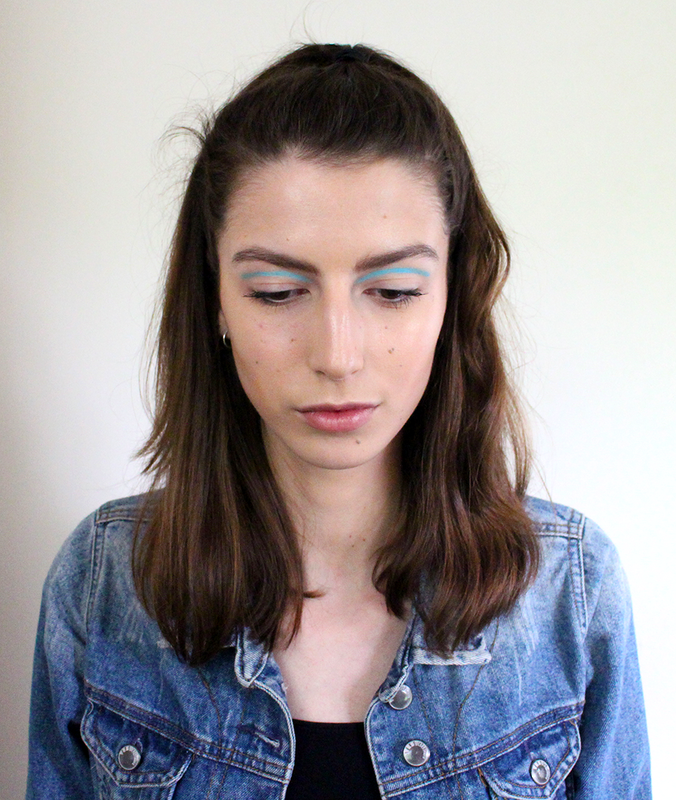 Is it possible to incorporate runway makeup into your daily life? Well, I have made it my mission! My daily makeup with the blushed cheeks and the simple eye makeup is just not cutting it anymore. I need some color! And there was plenty of color in the Spring Summer ‘16 runway makeup. So, I delved into the photo archive of pretty much every fashion magazine and selected some of my favorite looks. (I might have made a mood board as well. Read: this might turn into a little series!) 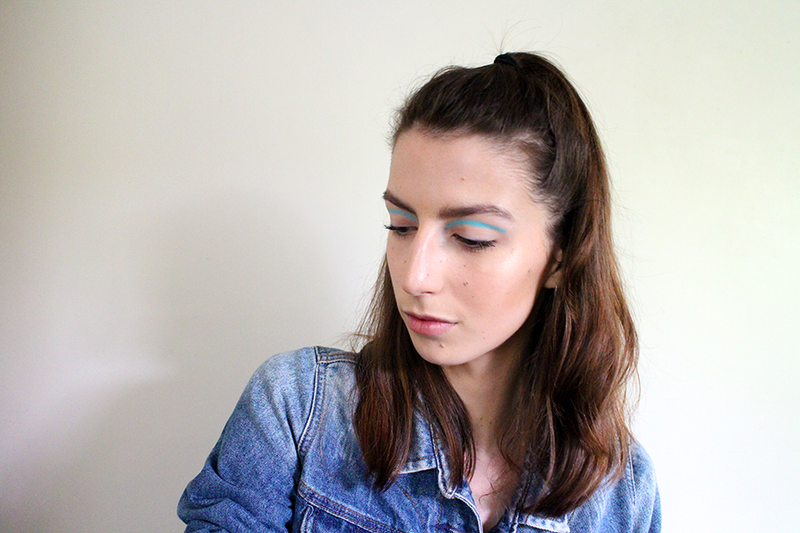 The first look I decided to go for is a mix of the Fendi graphic liner and the blue eye makeup obsession. To achieve the look, take a chubby eye pencil across your eye along your eye socket. This is just above where your crease would be. This way, the color doesn’t disappear when you open your eyes, but it sits nicely above the rim of your crease. Leave the rest of your makeup simple: no blush, a grey-toned contour and a blurred lip. It’s super easy! And, let’s be honest, it looks waaay cooler than the everyday natural eye. The pencil I used was one of the 2B cosmetics pastel eyeshadow pencils in Turquoise. 2B cosmetics really does color well and I might have to go back for that pretty lilac pencil I had to leave behind. It’s a budget friendly brand and the pencil didn’t budge at all during the day. So, for now, I’m happy with it.